National interest: What does the word politicians love to use really mean? With UK Prime Minister Theresa May refusing to budge from her Brexit position, members of Parliament are proposing a range of amendments demanding a change of direction. Some overlap and some complement each other. The chances of passage depend on how May and Labour leader Jeremy Corbyn order their lawmakers to vote. Here’s a summary of the main options proposed so far. It’s up to Parliament’s speaker to pick which amendments go to a vote. Corbyn is demanding Parliament hold a vote on different options. His amendment specifies two: staying in a customs union with the European Union (the model Labour favors), and a second exit referendum. Chance of passing: Low. Even Conservative politicians who back a second referendum are unlikely to support something with Corbyn’s name on it. And the Labour leader still looks more wedded to trying to force a general election. Labour’s Hilary Benn, who chairs Parliament’s Brexit Committee, wants a series of free-standing votes on the Brexit options, as recommended by his committee. They include a customs union, though not Labour’s exact model. Chance of passing: Medium to high, depending on whether Labour swings behind it. Labour’s Rachel Reeves, who chairs Parliament’s Business Committee, is calling on May to seek an extension to the so-called Article 50 exit process if she hasn’t gotten a deal through Parliament by Feb. 26. Chance of passing: Medium to high, depending again on Labour’s position. While Reeves’s amendment only instructs the government on Article 50, Labour’s Yvette Cooper and Conservative Nick Boles want to make it law. They’re asking Parliament to vote to change its own rules so that, for one day, it can debate a bill which would require May to seek from the EU an extension of Article 50 until the end of the year. Chance of passing: High, if Labour supports it. It’s been signed by several Tories who have recently joined the ranks of rebels and are determined to avoid a no-deal Brexit. Former Attorney General Dominic Grieve, a Conservative and leading campaigner for a second referendum, is asking for six days of Brexit debate over February and March when back-bench members of Parliament are in control. The last of those is March 26, three days before Britain’s scheduled departure from the EU. Like the Cooper-Boles plan, this is designed to give rank-and-file politicians power to direct next steps, and could provide for a last-ditch attempt to avoid a no-deal Brexit. ALSO READ: Third-party mediation or consensus: What's the way forward for Brexit deal? Chance of passing: Medium to high, if Labour supports it. It’s been signed by more than 50 MPs, including Tories who aren’t habitual rebels. Former Conservative minister Caroline Spelman has teamed up with Labour’s Jack Dromey to propose an amendment that rules out a no-deal Brexit. Chances of Passing: High, if selected. 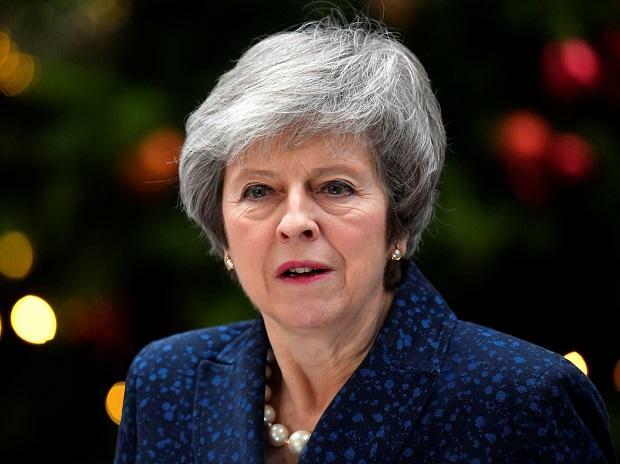 The House of Commons already indicated in a vote on a Finance Bill amendment this month that a majority of lawmakers oppose a no-deal Brexit. Conservative backbencher Andrew Murrison said on Twitter he’s submitted an amendment that “insists on an expiry date to the backstop.” It’s a rejigged version of an amendment on the Irish border he submitted on May’s deal last week -- but it wasn’t selected for a vote. His colleague John Baron has also submitted amendments calling for no backstop at all, or one only lasting six months. Chance of passing: Low -- unless the government backs it. Adding a time limit to the backstop would make May’s deal more palatable to a swathe of opponents in her own party. Of course whether the EU would accede to the demand is another matter: it’s been adamant it won’t. Labour’s Stella Creasy and Lisa Nandy want an extension of Article 50 to allow a 250-member so-called citizens’ assembly -- selected to be electorally representative -- to consider Brexit and make recommendations. Former Labour Prime Minister Gordon Brown has backed the idea in the media. Chance of passing: Very low. Neither May’s Tories nor the Labour Party support it, and its conclusions would likely immediately be challenged by people who disagreed. Still, the model was adopted by Ireland ahead of its referendum on legalizing abortion. Liberal Democrat leader Vince Cable is asking for the government to prepare for another Brexit referendum. Chance of passing: Very low. The proposal has only been signed by Liberal Democrats and is unlikely to be called. If it were, with neither main party’s leadership backing a referendum, this would do well to get more than 200 votes.